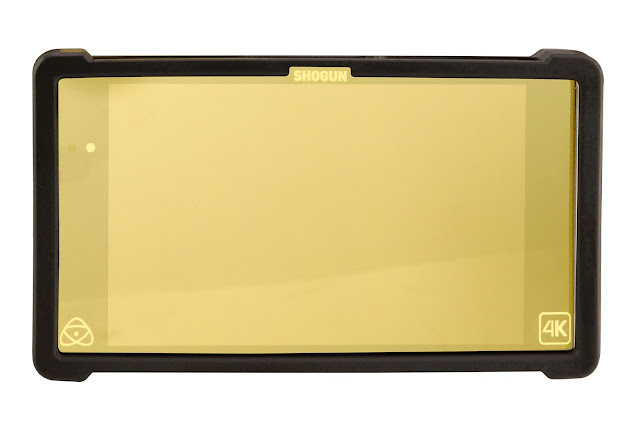 Sean J Vincent Blog: Atomos Shogun - more good news! Atomos Shogun - more good news! • Shogun Armor Case. A custom bumper which gives extra protection to the recorder/monitor from knocks and scratches. • Matte LCD protection panel which reduces reflections protects against scratches and diffuses light eliminating polarization. • Lightweight and durable travel case. The perfect size for a camera bag in cases when you need to travel light. 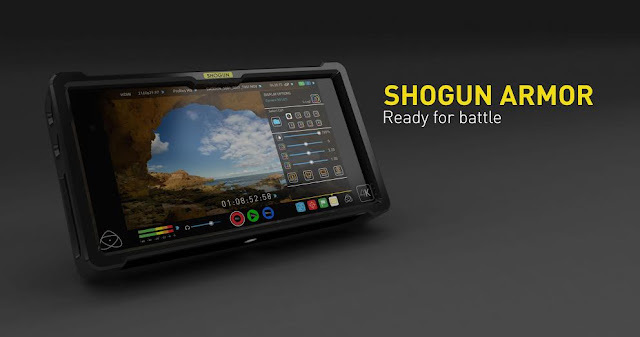 Available to purchase separately or together as the Action Pack, Atomos are also sweetening the deal by offering the $240 Action Pack for free to users who purchase and register the full accessory version of the Shogun during the month of June. The Atomos Shogun Action Pack is available now to registered purchases up to 30th June 2015, see www.atomos.com/shogun for details. The latest 4K cameras are arming the Pro Video world with amazing sensors, but falling short when it comes to Recording & Monitoring capability. Shogun completes the solution for professionals, combining advanced Record, Play, Monitor and Edit capability that can be added to existing cameras. 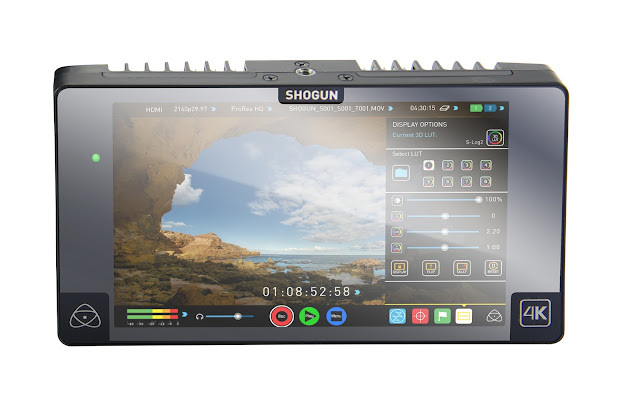 Shogun delivers 422 10-bit ProRes and DNxHR/DNxHD for Apple and Avid workflows, a 7” 1920 x 1200 IPS 320ppi monitor with an advanced suite of setup tools (3D LUTs, 2:1/1:1 zoom, focus assist, vectorscope, false color and more), XLR audio monitoring with 48V phantom power, playback capability on screen or out to a larger TV and editing capability on the fly with cut in/out points and favourite/reject tagging. AtomOS 6.4 for the Atomos Shogun is here.